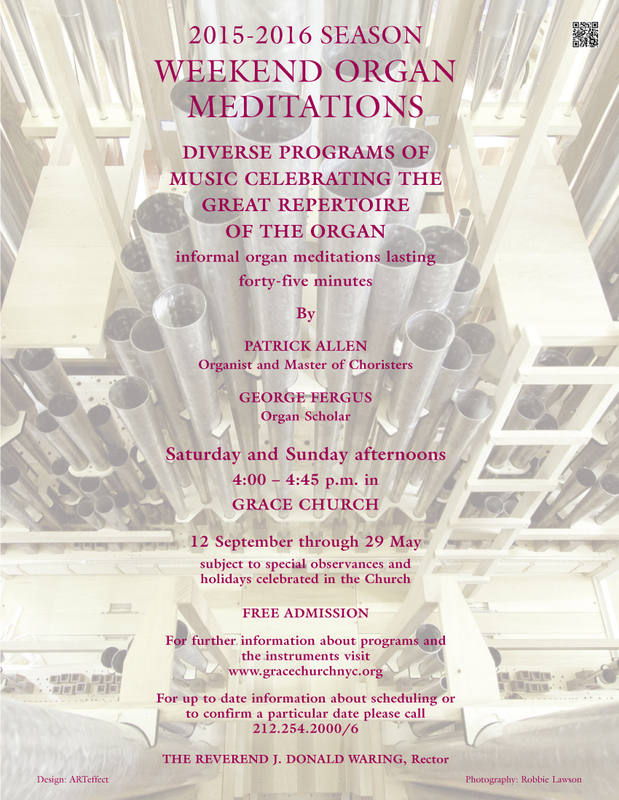 Thank you for your patience with all the interuptions of the Weekend Organ Meditations during December for special seasonal offerings, rehearsals and weddings. in the context of Choral Evensong. at Grace Church in New York. 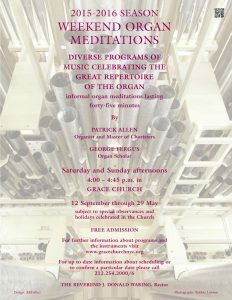 Weekend Organ Meditations will take place each Saturday and Sunday at 4:00 p.m. on all other weekend dates.